Thu., Nov. 8, 2018, 6 a.m. 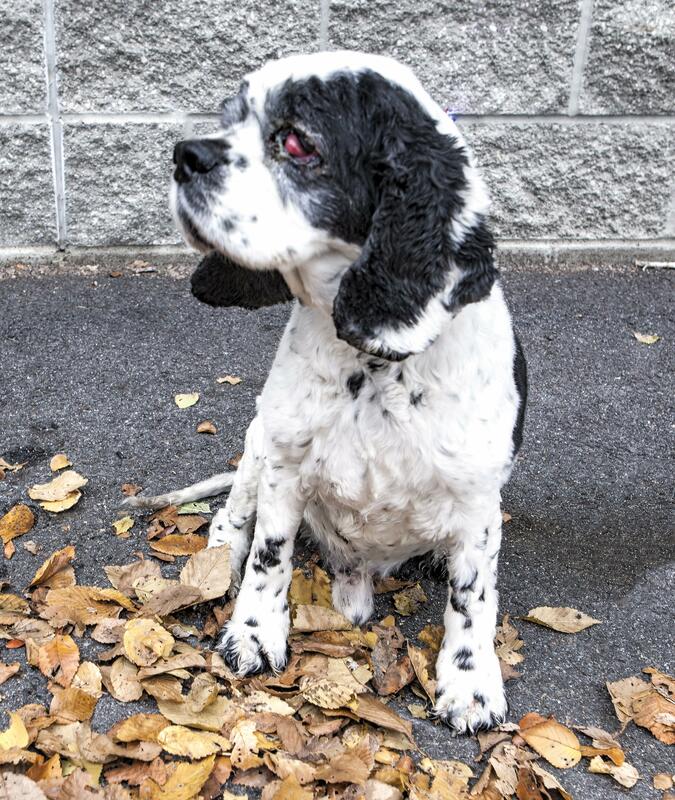 The black-and-white senior dog Butch with a lot of energy was surrendered to Spokane County Regional Animal Protection Service, a news release said. He has a cherry eye and needs lots of tender, loving care. As a loving companion, he would do better in a quiet and mellow home, where he can receive a lot of attention, SCRAPS said. Refer to the pet’s ID number when contacting Spokane County Regional Animal Protection Service with questions about one of the adoptable pets. If you are interested in this dog or any animal at SCRAPS, call (509) 477-2532 or visit the shelter 6815 E. Trent Ave. in Spokane Valley. Dog adoptions cost $120 and include spay or neuter, the first set of vaccinations (including rabies) health check, microchip and first year’s license. Published: Nov. 8, 2018, 6 a.m.